The hottest celebrities in the world have been seen on the red carpet, on concert stages, and in magazine spreads wearing stunning ink created by Keith “Bang Bang” McCurdy. Named for the dual guns tattooed on his neck, Bang Bang began his career as a self-taught artist working from his mom’s kitchen in Delaware, but over the past decade his visual style has transcended the tattoo world, proving that ink isn’t just a statement, it’s high fashion. Going beneath the ink, Bang Bang shares the stories behind his work for major celebrities, star athletes, and everyday people. 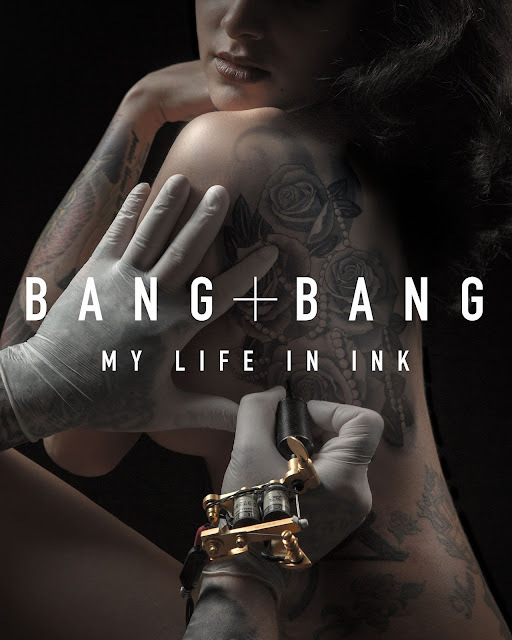 Filled with hundreds of striking photographs that bring his bold, vibrant designs into detail, Bang Bang: My Life in Ink tracks Bang Bang’s journey to the top, showing that the best ink is always much more than skin deep. What a life, and he is still pretty young yet. This guy tattoos everyone you can think of. My fave was Lenny Kravitz. He also tattoos non-famous people too though. Still, to be so young, accomplished in his craft, and a legend already.... Kevin McCurdy has definitely arrived. I love the tattoos I have. When I read about artists like Bang Bang, it makes me love them even more. He said something that is resonating through me about tattooing women and how you need to accentuate the beauty, not subtract from it. That's so true. It's all about placement, especially on a woman. I'm a chick with 9 tattoos, but I still like to glam out and go to fine dining restaurants. Tattoos on a woman need to be balanced so they don't take away from your femininity. Bang Bang has mastered this art! He may be among the best in the business, but he strives for better constantly. He never stops learning or challenging himself as an artist. That's why he's a legend. Tattoo fans; read this! Enjoy the wicked photos of his and other artists' work. You will be blown away. Of that I guarantee.